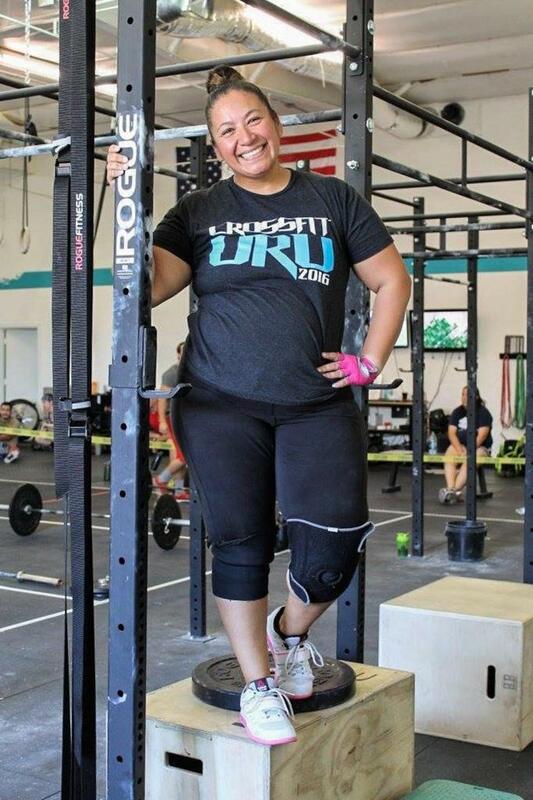 Frances Mata Monsisvais, 35, drove around the parking lot of CrossFit Uru in Phoenix, Arizona, 10 times before she got the courage to walk in. It was November 2015, and Monsisvais, who weighed 255 lb., wanted to get healthy. The working mom of four kids—aged 4 to 16—had tried other gyms but didn’t feel at home in any of them. 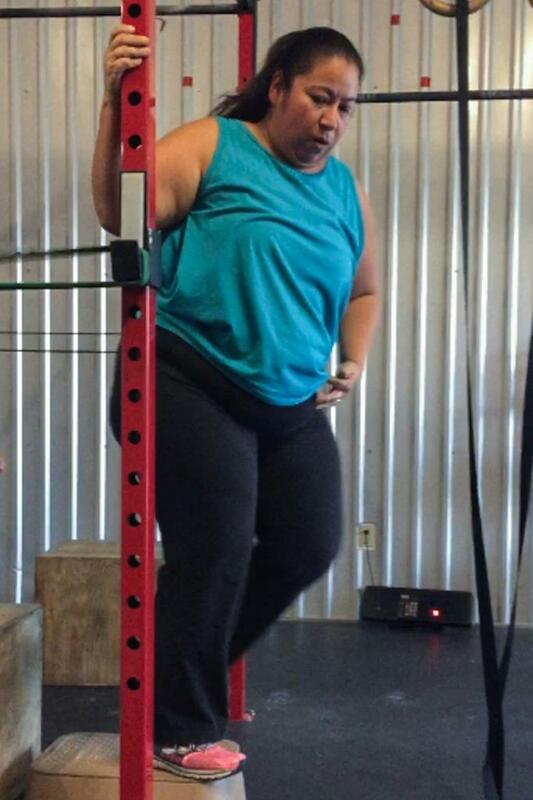 Her husband had encouraged her to check out the CrossFit facility down the street. Once she forced herself to walk inside, she introduced herself to the trainer and got right to the point. “Should I lose weight before I come in?” she asked. The trainer smiled at her. “No, no. Everything is good. Do it now,” he told her. “I had this perception that (for) CrossFit, you are supposed to be fit, and you can’t go in until you have muscles, and I was nowhere near that. At that time I was … not physically capable of doing a lot. I got out of breath just walking down the street,” Monsisvais said. For two months Monsisvais went to CrossFit once a week. She discovered something incredible—she actually liked exercising. 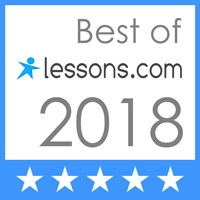 “The coach there, the members, they were amazing. They really welcomed me and my physical capabilities. I thought, ‘This is something I really like,’” she said. In January 2016, Monsisvais committed further. She started going to CrossFit four or five days a week and joined a three-month Paleo challenge at the gym. “I’d never heard ‘Paleo’ in my life,” she said. She didn’t know what she was getting into, but the word “challenge” caught her attention. Before the challenge, Monsisvais said her diet consisted of fast food and soda. “Carne asada fries are my go-to,” she said. Once she gave up soda and fast food, she began to lose weight. After the three-month challenge was over, Monsisvais was feeling good. Then she allowed some of her old habits to creep back into her life. “I was working out every day but my food intake was not good,” she said. In the middle of 2016, Monsisvais’ coach tried a macro-counting approach with her. It was not a good fit. Oreos and carne asada fries could fit in her macros, but once she ate one Oreo, it turned into a whole box. “I struggled with that really bad. I went off the deep end. I wasn’t ready for that,” she said. She switched back to Paleo and has followed the diet ever since. She admits it’s not easy for her. “There’s days when I say ‘forget it’ and I just binge. My coach has really helped me. He said, ‘An hour a day, don’t cheat. For this morning, don’t cheat. For this day, don’t cheat,’” she said. So far, Monsisvais has lost 45 lb. When she gets discouraged and thinks she should have lost more weight in a year, her coach reminds her she came in with no muscle at all. Monsisvais said that puts it in perspective, and she refocuses on what works for her: She shows up to her 5-a.m. CrossFit class and she plans meals, which keeps her away from Oreos and fries. Monsisvais’ transformation is not only about weight loss. She’s also transformed her ideas about what’s physically possible. When Monsisvais started, she couldn’t run 400 m. Any time a workout contained a 400-m run, she scaled it to 25 m—“And that was a struggle for me,” she said. It wasn’t long before Monsisvais was running 50 m, then 100. The day she ran 200 m, she celebrated. “I still don’t like it,” she said about running, but she’s getting better. The barbell is a different story. Monsisvais loves lifting weights. 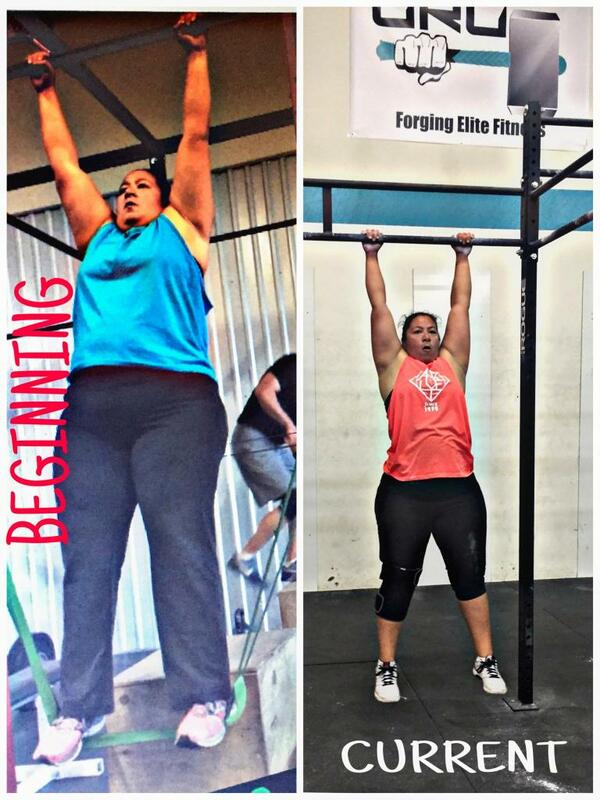 “You just feel so … strong,” she said, “and I walk around now thinking, ‘I could pick up that tree.’ CrossFit has given me so much confidence and strength. I think I could change a tire now and not die,” she said. Monsisvais coaches high-school softball and junior-high basketball. She also works one day on the weekend as a behavioral health tech at a hospital. 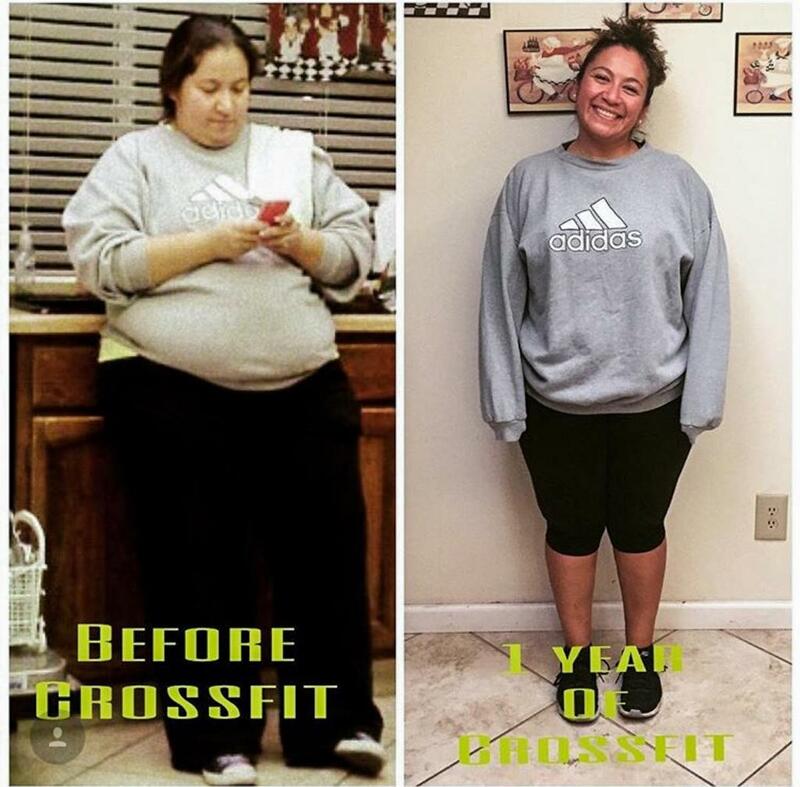 After more than a year of CrossFit, Monsisvais says she feels more like a coach than she did before. “A year ago I was a little bit more round and I felt like, if I would have seen myself on the outside last year, I would have thought, ‘Who is this lady? She doesn’t look like a coach,’” she said. Monsisvais said she’s even incorporated some of what she learned in CrossFit into the strength and conditioning for her softball team. “My girls hate me for it,” she said, laughing. “I do have more energy because of CrossFit. I show the softball girls how to do a burpee, and I wouldn’t have been able to get down on the floor last year,” she said. Many people in the midst of a transformation have a final goal in mind, an endpoint at which the work is over. The truth is that lasting change requires healthy habits sustained for a lifetime. 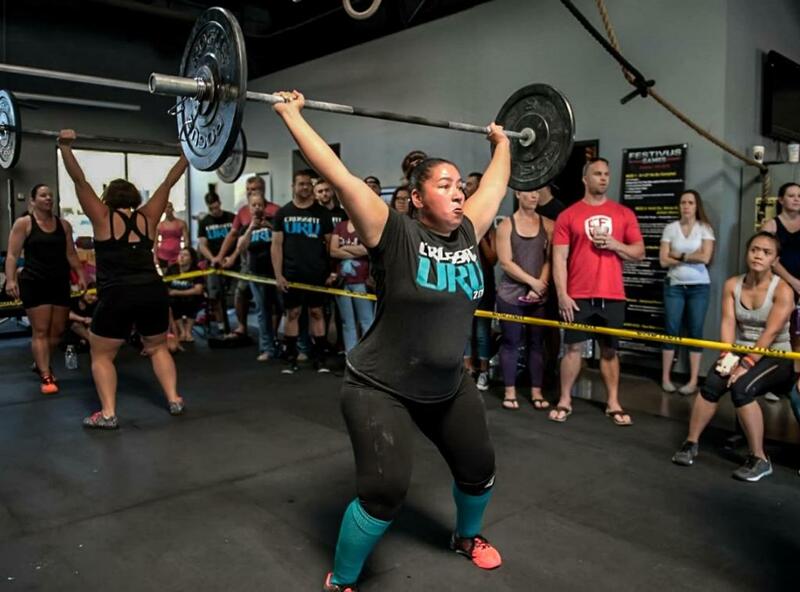 Monsisvais loves CrossFit, but at 35 she thought her time in the gym had an expiration date. She figured once she reached a certain age she’d have to stop doing CrossFit. Then the CrossFit Games Open started this year, and Monsisvais took a look at the masters division. “It goes up to 55 and older, and I thought, ‘I can continue doing this,’” she said. “Any level and any age and any size … you can do it!” she said.